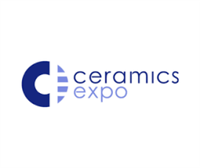 At this event from 29 April to 1 May 2019, the HEINKEL Drying and Separation Group will be presenting its wide range of process equipment technologies in filtration, centrifugation, mixing and vacuum drying related to the ceramic sectors. At the event which is taking place in Cleveland, Ohio, the group will also be exhibiting one of its newest technologies on the Tiocent classifying centrifuge. Please stop by to visit with us at Booth No. 601.